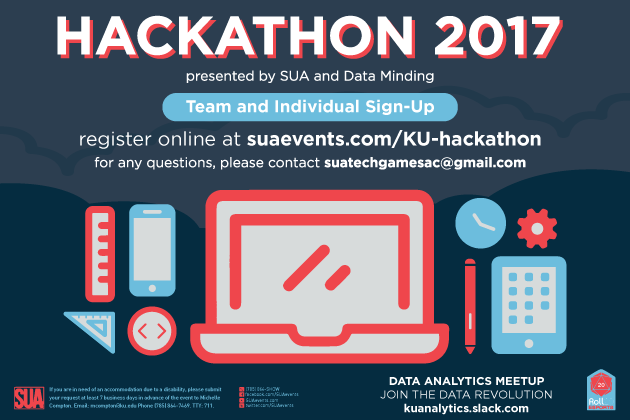 SUA and KU Data Minding are hosting the KU Hackathon this weekend! Since, I myself am not the techiest person out there, I’ve decided to dig deeper into what programming is and what it is used for, in this blog post. If you are already a boss at binary, stick around because this post will also contain information about the up-and-coming Hackathon. So what is computer programming? Programming is a very complex process that starts with the formulation of a computing problem to be addressed, and ends with the execution of a computer program or program languages. Depending on how successful the sequence is, it can be applied to millions of machines worldwide. The ultimate goal of programming is to find a certain sequence that will allow the computer to carry out a specific task. This specific task can be many different things. For Markus Persson, or Notch as some of you might know him as, he wanted a program that could generate complete virtual worlds in which gamers have (almost) unlimited freedom. Using the Java program, he made Minecraft. For Bill Gates, this meant creating one of the most notable computer operating systems in the world: Microsoft. Ever heard of the Linux kernel? This operating system, programmed by software engineer Linus Torvalds, is responsible for the prime functionality of Android and Chrome software. Apart from the various end products listed above, programming can be used in many other applications. Movie makers use programming to produce a wide array of special effects through CGI and photoshop. More and more people in the medical profession are learning how to program as well. Having a decent knowledge of how the innovative technology in a labs or offices works, allow doctors to perform their work more smoothly. Programming can apply to such a wide array of fields, and because of this, that it is becoming a popular career choice. As technology across the world continues to evolve, so will the demand of new programming languages. This opens up many opportunities for coders and programmers. This year’s Hackathon competition will begin Friday, November 10th at 6 pm in the Roll20 Esports Lounge on the 1st floor of the Kansas Union. Saturday, November 11th will be a work day for teams, with lunch provided at 12 pm in the Esports Lounge. Finally, teams will present to a panel of judges at 12 pm. Sign up HERE to compete in SUA’s Hackathon. Each member of the winning team will receive a $100 cash prize! Good luck to all the coding connoisseurs competing in this year’s Hackathon! It’ll be a weekend full of fun. If you aren’t competing, consider doing so next year. You never know, maybe you’ll be the next Bill Gates!